The rich and powerful spend their time seeking more power, so when knowledge is power what do you do? You set up a secret experiment. Secret science experiments are often secret because they involve things that could be seen as immoral, or because you have enemies, or competitors that you don’t to find out what you’re working on. Secret science experiments are done all over the world, by governments, and corporations. Below are the 10 most Unbelievable secret science experiments. 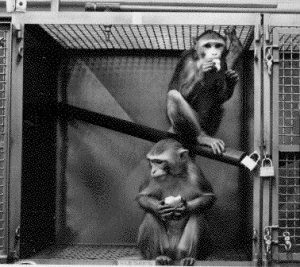 A lot of Australians have been angry recently when they found out that the money they pay in taxes has been going towards secret experimentation on primates. One thing These strange medical experiments are doing is to insert a pigs kidney into a baboon. Over 15 years they have experimented on over 370 primates, marmosets were given drug overdoses and having their eyes removed and dissected. The experiments have been funded millions of dollars to this work, and the RSPCA says they probably aren’t treating the animals properly. 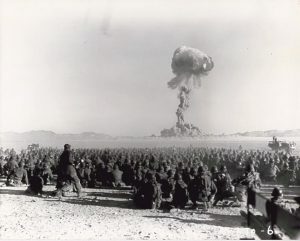 The United States conducted a series of nuclear weapons tests in secret in September 1958.The tests were put forward by Nicholas Christofilos, who was part of the Livermore branch of the Lawrence Radiation Laboratory. 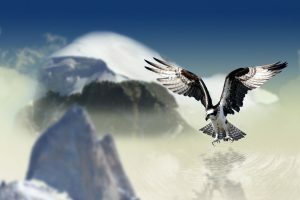 He wanted to prove what he called the Chritofilos effect, which was the idea that high altitude nuclear detonations would cause a radiation belt in the Earth’s atmosphere. 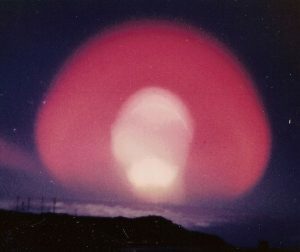 To test his theory, Christofilos launched two nuclear missiles thousands of miles into the sky and detonated them near the geomagnetic equator. This cost the US nine million dollars. 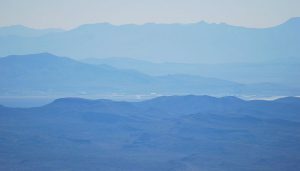 A lot of strange experiments happen at area 51, one of these experiments was an attempt to make stealth air crafts invisible to radar. The scientists working on this had a tight deadline, and didn’t managed to make it work in time for missions, but they had an idea. They decided to fit the aircraft electron shooters, which would fire a 25 ft wide ion cloud of highly charged particles. The cloud would help to hide the aircraft from enemy radars in theory. In reality the gas cloud would kill the pilot, and the project was abandoned. 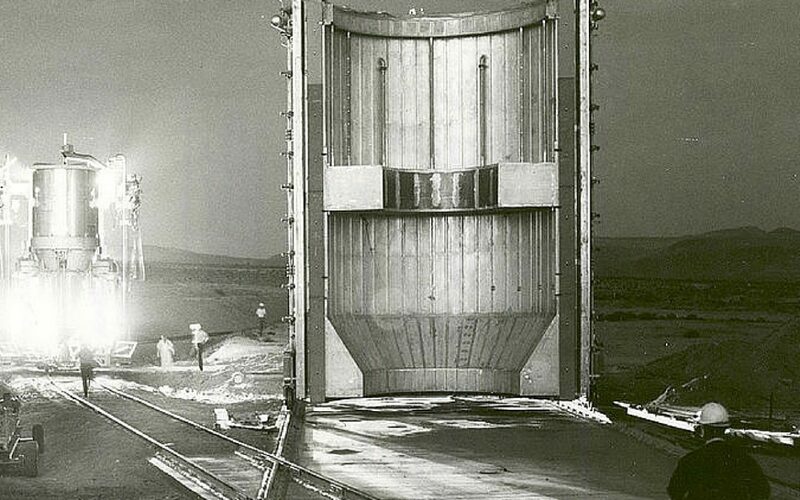 Operation morning light was attempt by the US government to retrieve a large nuclear satellite they were convinced would crash somewhere in North America. 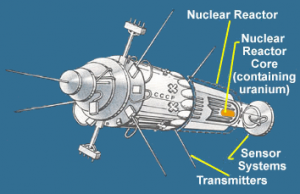 The Soviets launched a nuclear satellite filled with 110 pounds of Uranium into the sky for their own secret experiment. They then lost control of the satellite. The US predicted that when it came back to earth it would cause a lot of damage to the US. They kept it secret from the public to avoid panic, and set up a search team to retrieve it once it landed. Luckily it landed in Canada and everybody was fine. This was a project to create remote controlled air crafts to be used fro warfare. Suitable for America this aircraft was six foot, and designed to look like an Eagle. The aircraft carried a lot of surveillance equipment and had a security camera in it’s nose. They tested I over the Caspian Sea and eerily it eventually came to be known as the Caspian Monster. The Insectothopter was a small aircraft, designed to look exactly like a bug. 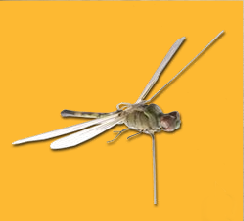 It was the size and shape of dragonfly, and carefully painted to look like one. A similar style of experiment was the Ornithopter. A small aircraft designed to look exactly like a bird flapping it’s wings. These small drones were to be used for surveillance purposes, and would take pictures. Other animal like drones they invented was one made to look like a crow, and also made a pigeon and cat. The detonated two large 3.8 megaton nuclear bombs in the upper atmosphere, almost blowing a hole in the ozone layer. One was detonated at 28 miles, and the other at 50 miles in the upper atmosphere. They did this to see what would happen if he Soviets did the same, they wanted to see if they would notice two giant nukes going off in the sky. It was more than noticeable, anything that looked at the explosion was blinded, the sky turned red, and radio communication went out. It’s amazing this experiment went ahead considering that scientists even warned that it could blow a hole in the ozone layer. Nuclear Engine Rocket Vehicle Application. At an unknown secret military base known as area 25. 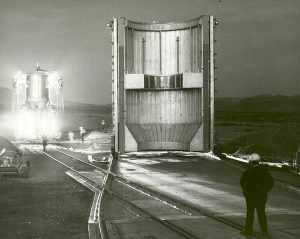 A secret experiment was put on to send man to the moon in a nuclear powered rocket. The ship was called Orion, and amazingly it could send 150 men to the moon in only 124 days. The program ran for about 20 years. The ship would be sixteen stories high, and naturally when you fill something that big with nuclear power, it causes quite a huge explosion if something goes wrong. Seeing this coming scientists decided to put on operation Kiwi, where they would test this by deliberately blowing one up. The radioactive plume rose to over 2,600 feet, and radiation leaked into the air, spreading to LA, and then out to sea. The US was moving a large amount of nuclear bombs by aircraft. They were sure that and some point, one would crash, and they wanted to know the extent of the damage so they could prepare for when it came. To do this they decided to test this by purposely setting off a nuclear bomb into a designated are. They set up entire mock cities, to see what the effects would be one crashed in the city. Famous entrepreneur and innovator Elon Musk, is said to be working on real life hover train that can go over 700mph. Known as the Hyperloop, it utilizes reduced pressure tubes in which pressurised capsules ride on an air cushion driven by linear induction motors and air compressors. The Train would be able to get from LA to San Francisco in less than 30 minutes. The Hyperloop will move through tunnels that have lots of air sucked out so there is low air pressure. Train will be able to levitate in here. This train will incredibly quickly because instead of pushing through air and building up friction, the air will be pumped from the front to the back.